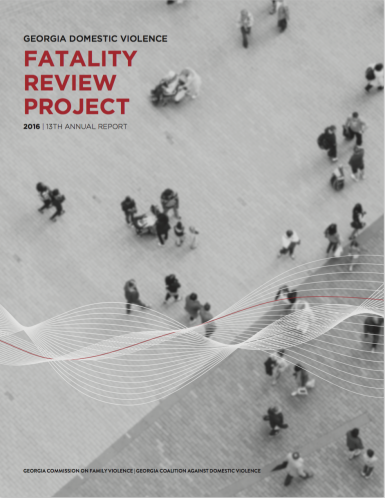 This year’s Annual Report focuses on our Project’s key finding regarding the suicide-homicide connection. This finding is driven by perpetrators attempting or completing suicide in 38% of the 105 domestic violence homicide cases reviewed by the Project. A domestic violence abuser’s level of depression as well as suicide threats and attempts are known to increase risk of injury for intimate partners, children and others. Evaluation of the Project’s 105 reviewed cases further revealed 37% of perpetrators had threatened or attempted suicide in incidents which occurred prior to the homicide. By looking at data in this way, we hope to answer some key questions: What is different about domestic violence murder-suicides as compared to domestic violence homicides? If there is something different, how can we make changes to prevent future deaths? Are we missing opportunities to intervene with suicidal abusers? If so, how can we fill these gaps to provide interventions and services before situations escalate?